Considering the vital importance of sleep on general well-being, where does one begin in describing the benefits of the revolutionary BedGear-X? From sleepers who mostly fall asleep on their stomach to dedicated side sleepers, all needs are well met, although this is not a pillow that specializes in any one condition. The BedGear-X Position PERFORMANCE Pillow can offer great technology while being all-around comfortable and reliable. BedGear is a relatively young company, that has made it their top priority to provide quality products for you to get that long sought-after, rejuvenating shut-eye, leaving you feeling rested and ready to tackle the day. Although many types of pillows cater to different sleeping positions and types of sleepers, BedGear Company has focused on developing products designed for all sleeping positions. As I’ve never seen any TV, radio or magazine advertisements about the company, I was not sure what to expect. Their products are high-end, and some of their pillows can cost more than $200. Ashley Furniture is a major seller of these innovative products, but they are sold in more than 4,000 locations. BeadGear focuses on developing new technology, like Air-X with an emphasis on what people truly require for functionality and comfort. Their products are innovatively designed to cater to all types of sleepers (no matter what their body type or favorite sleeping positions may be). Their ventilated Air-X® patented technology is geared and designed to breathe to maximize airflow and comfort; so that excess heat is cooled and regulated leaving you feeling rested, rejuvenated, and refreshed. On top of its innovate multipurpose design, the patented Dri-Tec® technology (through its wicking surface fabric) also zeroes in on keeping you nice and cool throughout the night (as it’s designed for cool to neutral sleepers in mind). Also, with a wide selection of pillows and products, BedGear offers a great variety at a great value. The company also offers a selection of mattresses, protectors as well as children sleeping products. If you’re looking for a high-quality pillow that bends to your body shape while providing comfort and a restful night’s sleep, look no further than the BedGear BG-X All Position Performance Pillow. 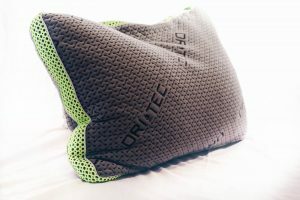 The unique feature of this pillow is it uses a special patented technology to tailor the shape to your specific body type. A dynamic and comfortable contour cradles to your body and automatically adjusts to your form. In a way, the pillow reads your body profile and adjusts to make sure it is providing proper support and optimum comfort. For sleepers who vary in their sleeping styles and positions, the BG-X is a one-of-a-kind pillow in its patented design with react technology, constructed of a single chamber that is built specifically to fit and work with any sleeping position. The support pads are specifically designed to cushion the weight of your head, neck, and shoulders. Through its innovative design, the pillow retains the flexibility to deliver a good night’s rest, each night. With its REACT™ technology, which is a blend of memory foam and alternative performance fiber, the BG-X also offers a unique mix of bouncy and soft, yet perfect firmness. It is not hypoallergenic. If quality is important to you, the BG-X doesn’t take shortcuts and can offer the perfect combination of comfort and functionality needed, all so you can have a restful night’s sleep. Be careful handling the BedGear-X though, and make sure to follow proper instructions as this product cannot be washed in the washing machine. Gently spot washing the product with a light soap is recommended to remove stains or dirt. 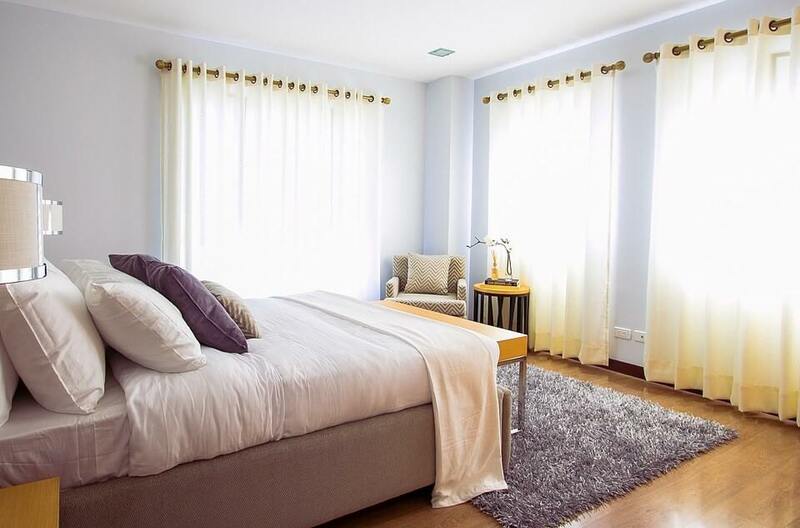 Another option to help keep the pillow clean is to buy a washable cover that you can throw in the washing machine. If you’re more inclined to shop online, by ordering directly from their website I was also able to save 20% on purchases on all their products online (which is a solid perk and worth the clicks needed). If you’re looking to determine your body type and predominant sleeping position, paying a visit to the company’s website gave my wife and me a good idea about the kind of pillow that is perfectly suited to ensure we both get a great night’s sleep. Designed with affordability and cost in mind, BedGear-X All Position PERFORMANCE Pillow which goes for $79.99 can be a relatively cheap and inexpensive alternative compared to other, more costly pillows, which do less for the money. I bought the BG-X for $69.27 for my wife and I because we both like to sleep in a variety of positions and tend to move at night. Sometimes starting on my stomach then moving around for comfort to find the best sleeping position. Overall, this is a solid all-around pillow and is comfortable all the time, although it is a little thin. I prefer a pillow with a backward tilt to help with my breathing. It’s a multipurpose pillow designed for all sleeping types and bodies. With a spotlight on keeping you comfortable and cool, BG-X is a product that surely has not disappointed (although the wife needs something with a little more support)! Superior Comfort: This pillow is designed for comfort, plain and simple. It doesn’t get too hot, and it offers consistent and solid support all through the night. Also, the mix of memory foam allows it to retain its shape better than regular memory foam pillows. Good Value: For all the specialized design, this is a fairly inexpensive pillow that offers a lot more than MyPillow or a cheaper option. Online Wizard: Helps guide you to the perfect pillow through a series of questions. Personalization: Pillows can be branded with your favorite sports team for customization. Excellent Quality: High-quality, innovative product. Cannot Be Washed: This pillow requires special care, it might not be the pillow you have in the guest room although it would be comfortable for your guest, due to the manual cleaning needed to maintain the BG-X in top condition. Too Flat: My wife found the pillow was perhaps too flat. As it is supposed to provide superior support, it is not as voluminous as say a down pillow. The memory foam and a down alternative fiber inside is as comfortable and as good as any $100.00+ pillow. Also, spinal and neck alignment is better with a curved support pillow. Not an Anti-Snoring Pillow: If snoring is the issue, this pillow might not make you feel as rested as an anti-snoring backward head tilt, which opens the airways better for clearer breathing. Non-Hypoallergenic: Not good for allergy sufferers. 30-Day Return Policy: Short refund policy compared to other manufacturers. Overall, BedGear makes excellent pillows, and design their products to address the common issues most people have during sleep, something which the BG-X position PERFORMANCE pillows do comfortably. The pillow’s buoyancy makes it balanced. In the end, I believe the combination of patented technology that adjusts to your body and various sleeping positions, and the pillow’s ability to stay cool during the night makes it a great fit for most people. I would recommend this product for anyone that needs to quell night time restlessness. However, if you buy this pillow thinking it will help you stop snoring, there are much better products on the market, especially if you are a stomach sleeper, require a tilted pillow to help with breathing, or need a curved pillow to help with spinal and neck alignment.